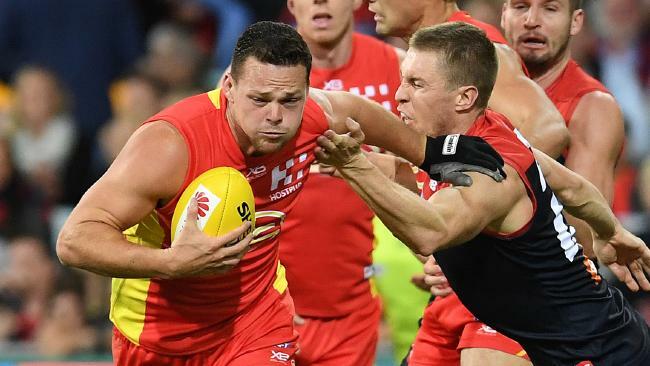 STEVEN May is free to lead an injury-depleted Gold Coast Suns against Port Adelaide in Shanghai after escaping with a fine for making contact with an umpire. The Suns looked set to lose two of their best when they elected not to challenge Sam Day's one-week suspension for striking and faced losing May for a week after he made contact with the umpire in the weekend's loss to Melbourne. 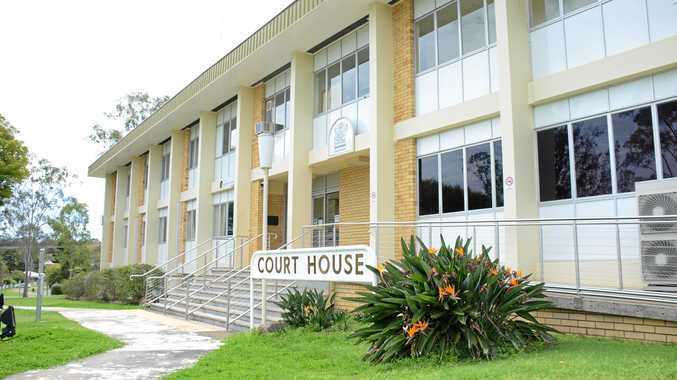 However on Monday night May pleaded guilty to accidental contact, not deliberate, and was handed a $1000 fine. Cats spearhead Tom Hawkins was suspended for a match last week for deliberate contact but May's was deemed to be accidental and he told the tribunal he did not realise he had touched umpire David Harris. He told the tribunal he was frustrated at the time believing a Melbourne player had barrelled into him and was merely attempting to demonstrate to Harris what had happened. "I'd like to thank the tribunal for a fair hearing, it was never my intention to make contact with umpire Harris,'' he said. With Tom Lynch and Day out the Suns are without a heap of experience and the inclusion of May and David Swallow is a huge boost. Swallow sat out the final quarter of Saturday's loss to Melbourne but Suns officials say he is fine to travel with the team on Tuesday and will play. Earlier on Monday night a host of incidents were thrown out by the MRP. 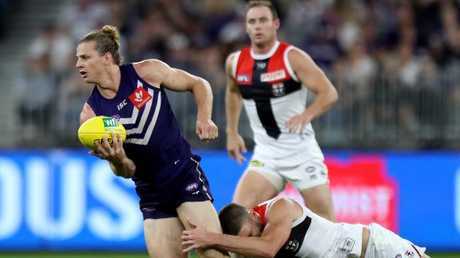 Fremantle superstar Nat Fyfe is still in the running to win a second Brownlow Medal after he was cleared over two incidents in the Dockers' win over St Kilda. Fyfe, the winner of the 2015 Brownlow Medal, moved into outright favouritism for this year's award. Jake Carlisle was concussed when Fyfe's knee made contact with his head while Fyfe also bumped Seb Ross at Optus Stadium. "For all intents and purposes it was a legal bump," MRP chairman Michael Christian said. "His shoulder made contact with Ross' upper chest. "There was a head clash but under the provisions as long as you bump fairly and can't reasonably foresee that there will be a head clash then (most of the time) no charge will be forthcoming." The match-day report made on North's Luke McDonald for rough conduct on Kane Lambert was also thrown out. North Melbourne skipper Jack Ziebell wasn't so lucky, copping a one-match ban for kneeing Richmond's Reece Conca.